The recent CES and MWC tech shows must have convinced you that AR and VR are indeed, the future of consumer tech, with a number of launches, showcases and announcements. Now, exhibitors at the ongoing SXSW conference in Austin, Texas, are seemingly doubling down on the emerging technology, with audio company Bose becoming the latest tech firm to jump on the bandwagon. 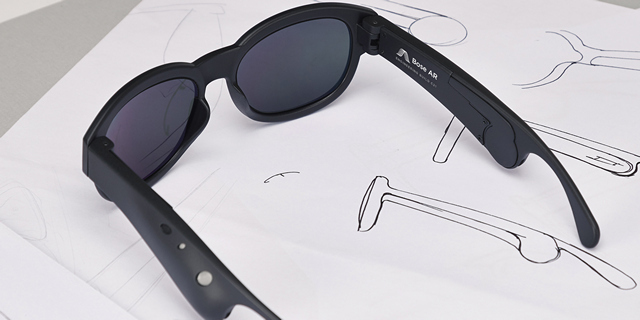 The company has not only showcased a pair of prototype AR glasses that can be controlled with gestures and voice, but has also unveiled a whole new AR-based wearable platform that’s focused around sound. The company envisions its audio AR platform as something that “can be seamlessly built into headphones, eyewear, helmets and more”. Towards that end, Bose is releasing a Bose AR SDK that will allow third-party developers to integrate the new AR platform into their own products. The company also announced a $50 million fund that will invest in start-ups focused on apps, services, or technologies for the Bose AR platform. The company says it is collaborating with the NYU Future Reality Lab and the MIT Media Lab “to advance human interaction related to augmented audio reality”. It is also working with ASICS Studio, Strava, TripAdvisor, TuneIn and Yelp on the project. 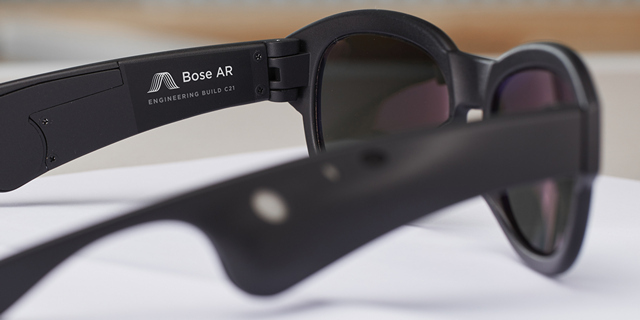 According to John Gordon, vice president of the Consumer Electronics Division at Bose, “Bose AR represents a new kind of augmented reality— one that’s made for anyone and every day”. As for the glasses seen in the images above, it is still in the early stages of development, but the company promises to make available to developers “a refined and updated version” of them this summer. There’s, however, no immediate plans for a commercial launch. The glasses also come with a small speaker that the company describes as a “miniscule, wafer-thin acoustics package developed specifically for the platform”.